Round three of the 2018 Caterham Roadsport Championship was at Brands Hatch Circuit, last weekend - running the Indy configuration. The usual two day testing got underway on Thursday and Friday. The weather was great and the temperatures climbed day by day... I managed to find a setting that I was very happy with, and was feeling confident for qualifying. However, when it came to qualifying (and just like last year) I found myself always tripping over someone at some point, more interested in getting the vital tow than setting a quick lap time, so only managed to qualify in fifth (which I think is my equal worst qualifying spot since I started racing). 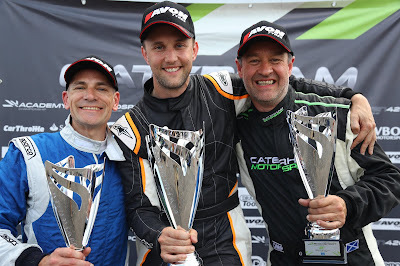 So it was happy days taking my second win of the season and fourth podium out of five races. 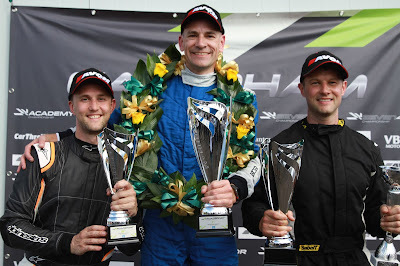 Congratulations to Daniel Halstead (p2) and James Murphy (p3). There was a Caterham organised post race paddock party which started around 7pm, which left just enough time for a quick shower to rinse off the sweat and bubbly! There was a decent spread of food, and FREE alcohol (which is never good on a race weekend! ), but I was 'careful' not to have too many and still had a great time. 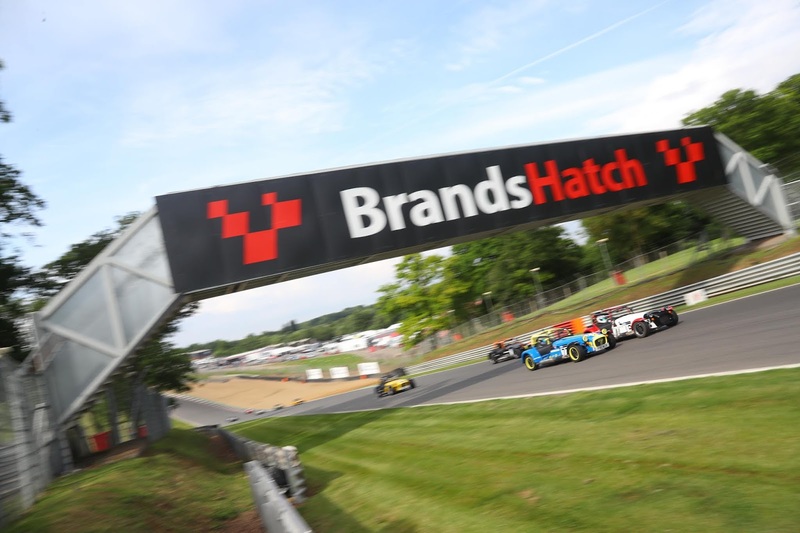 The second race of the weekend (which is race six of the championship) was on Sunday, with the start scheduled for 12:30. The day was on schedule, and I was starting from Pole position (as the Saturday race result dictates your grid position for the Sunday race). I started reasonably well, but Graham Macdonald got a great start and grabbed the lead. I retook the lead on lap two, and held onto the lead for a lap, until my gearbox 'gremlins' appeared again. 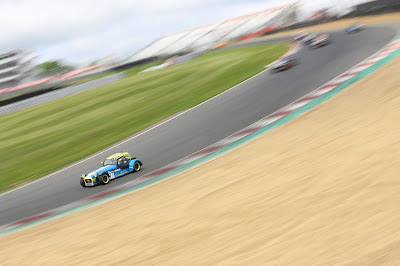 Firstly with a crunch into druids, then on the same lap another crunch into Clearways - both times shifting down into 2nd gear seemed the only option. All I could hope for was to not retire, but I got my head down and made my way back up with order, eventually finishing with a podium - in third place. With one lap to go four of us could've won - it was that close, and eventually the race was decided by a photo finish between James and Graham - top driving guys! The race was described by the commentators as the best race of the weekend, and by many others (who have seen plenty of Caterham races) as the best Caterham race they'd EVER seen. 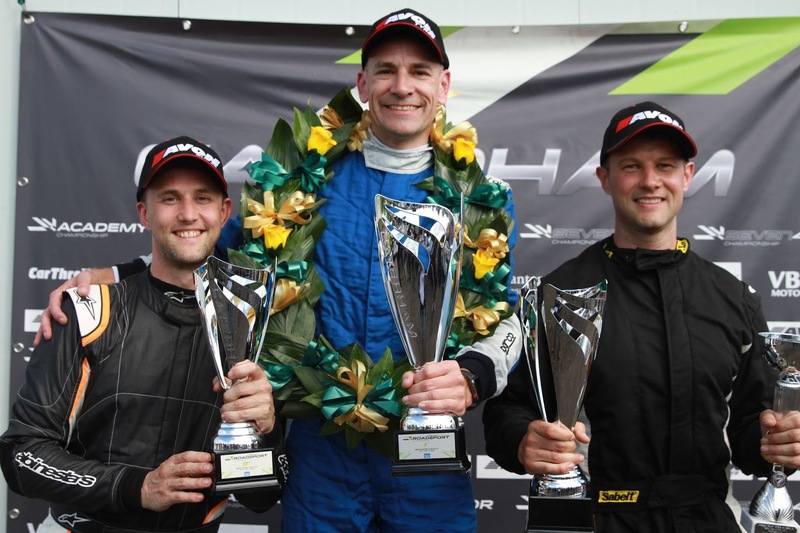 Another podium finish shared with James Murphy (p1) and Graham Macdonald (p2). 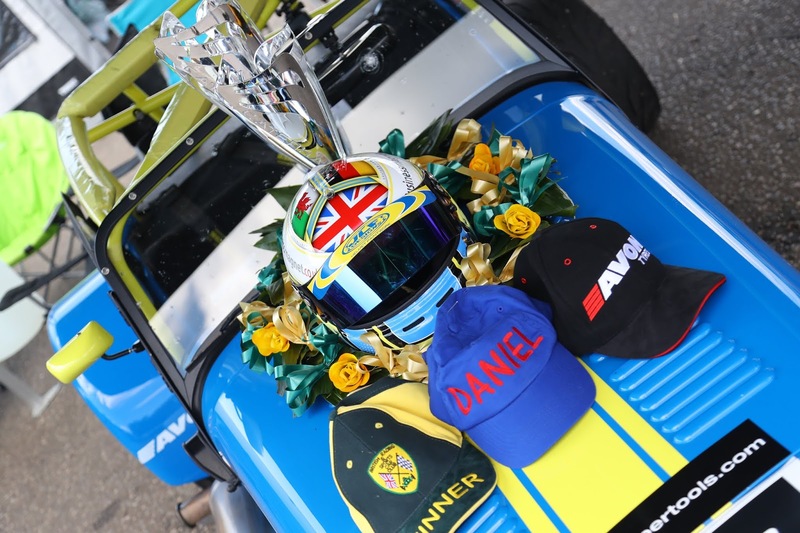 So that was that for the weekend, a double podium consisting of a win and third place. A little bit of head scratching is required, as I've dropped a heap of (potential) points this year due to gearbox problems... A few others have experienced gearbox 'issues' but not quite to the degree I am - come the Zandvoort weekend I'll be on the THIRD! gearbox of THIS season! I'm not blaming the gearbox one bit - it's definitely something to do with my driving style, which I absolutely must iron out. Mechanical issues aside, racing in a one make championship, with the way the progression ladder has been developed is literally one of the best experiences of my life. The paddock is friendly, we all get along and have a great laugh - the racing is bloody competitive and taken seriously by the racers and organisers, and the life memories will never be forgotten. ABSOLUTELY EPIC STUFF - so a big well done to the team at Caterham, the BRSCC, the MSA, the marshalls and of course all the fellow competitors and drivers from the other championships too.